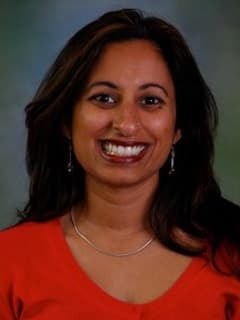 Priya Stephen, MD, is a Pediatrician at Primary Care, Newtown, a CHOP Care Network pediatric and adolescent primary care practice. Dr. Stephen completed her pediatric residency at Childrens National Medical Center in Washington DC, and has been practicing general pediatrics since 2003. She is a fellow of the American Academy of Pediatrics, and certified by the American Board of Pediatrics. Her areas of interest include pediatric and adolescent care, as well as a special interest in caring for Spanish speaking families. She enjoys spending time with her husband, young son, and the family dog, as well as playing tennis and practicing yoga.